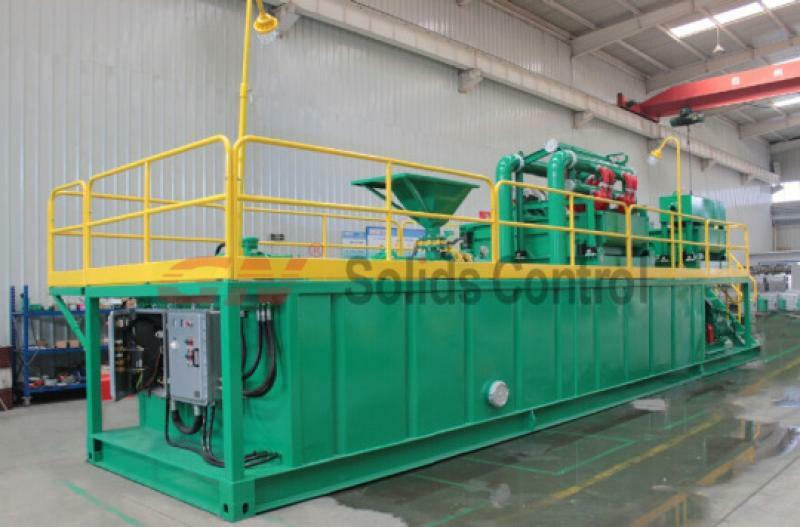 1)	HDD mud recycling system need very compact design cause it’s moving cost very high compare it’s profit , the more compact , the easier and lower cost for moving or transport . The best design is try to avoid crane for moving cause crane cost too much . The walkway and hand rail normally can be folded down or up without disassemble , and mud cleaning equipment lay on tank top within road transport height limit . 2)	Most of HDD mud recycling system is one tank design , and many tanks are trailer mounted or jack up legs for fast moving . GN Solids built many sets of jack up mud system to Australia for fast transport which is very convinent and not related to too high standard , there are supplier for trailer mounted tank also which have a same purpose for fast moving mud tanks . Other than some of mud recycling equipment or system , GN Solids Control keep standard spare parts in Brsibane , Australia for fast service to clients there . Please contact GN Solids for more information if you interest for the stock . 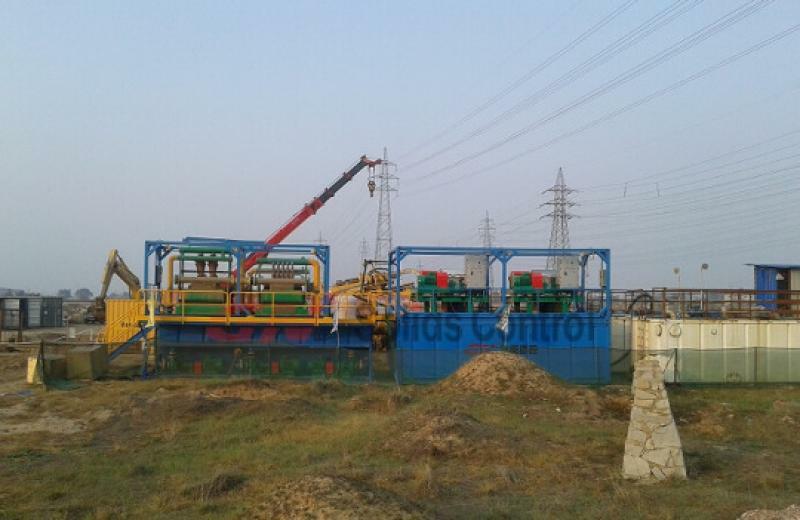 Mud recycling system is well used for oil and gas drilling , coal gas methan , horizontal directional drilling ( HDD ) , diamond drilling and other drilling mud industry . When the mud recycling system working for HDD drilling , there will be some key point that different for other drilling industry . Point 1 , it will require 2 sets of mud recycling system cause there are 2 rigs drilling a hole together at a close position . 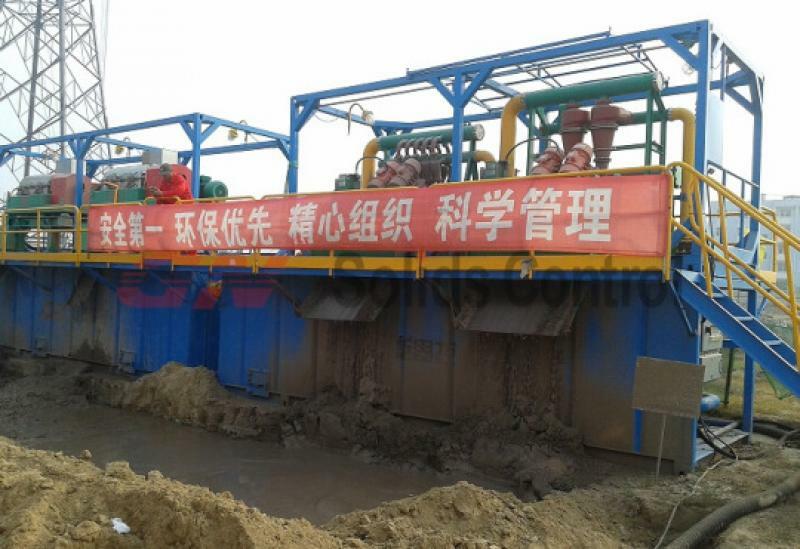 But for other vertical drilling , there will be one set of drilling rig and one set of mud recycling system . Point 2 , it will need economy cause profit is low in HDD industry , just as every body say , if there is a centrifuge , it will be good for recycling but seldom people choose a centrifuge cause save money and power . Point 3 , it doesn’t require very high for drilling mud , so the requirement of recycle drilling mud is not high also . The horizontal directional drilling not drill deep , and just several meters under ground , so the drilling mud quality not required very high . Point 4 , it need compact design and can be move and transport fast . So the design of themud tank , pipeline and other details need be very compact , many client need container size tank or trailer mounted mud tank , handrail and walk way can be folded down or up , the equipment can be easy installation or diassemble , or all equipment lay on top of tank while moving . 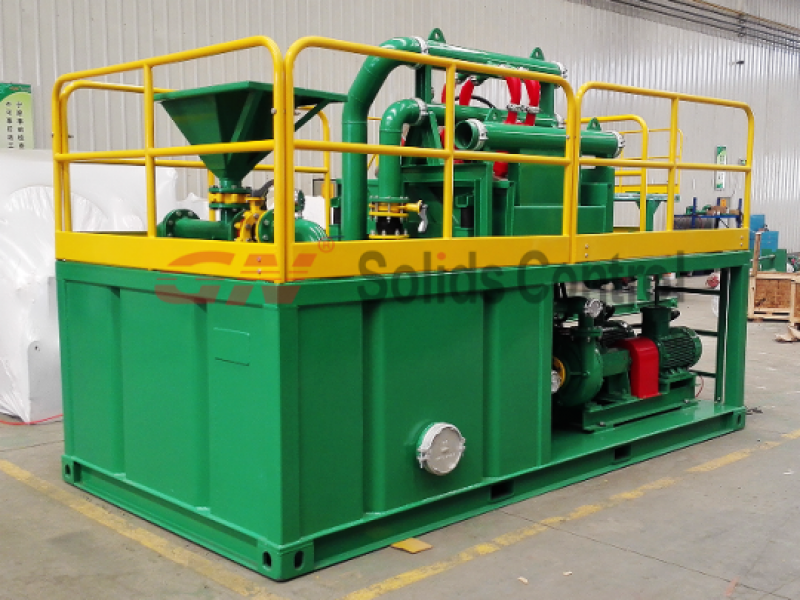 GN Solids is one of a professional supplier in the world for HDD mud recycling system and already did many project for all over the world . Please contact GN Solids for more information . GNMS -500GL 500 GPM mud system is a top option for horizontal directional drilling mud system . This is 3 phased cleaning with shale shaker , desander and desilter cleaning . But how this mud system working princedure on Job Site ? For HDD drilling , when mud from rig out of hole , mud will be guide to a mud pit a mud tank , one set vertical slurry pump will pick up mud and feed to first phase cleaning shale shaker buffer box though a soft rubber pipe . 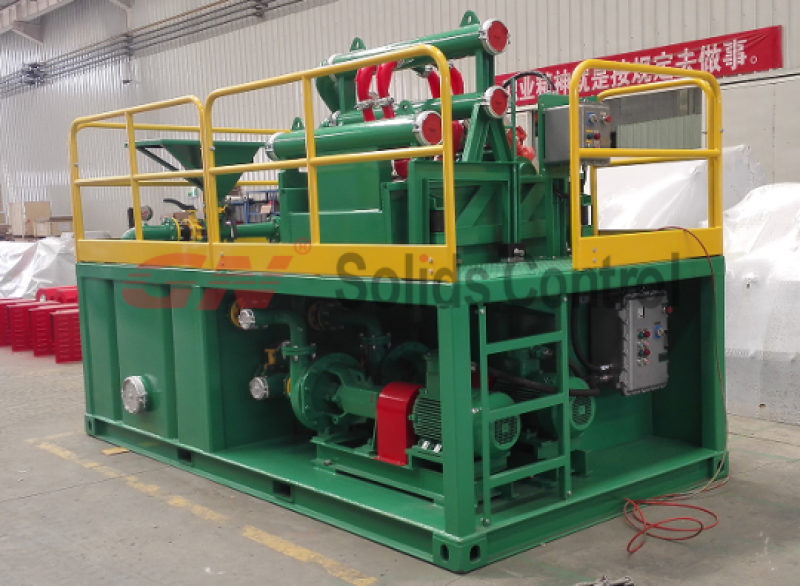 The buffer box will reduce mud speed and avoid to much flush of shaker screen , there are 3 decks for shale shaker for first phase cleaning . If installed 40 mesh shaker screen , it will separate solids around 400 microns . The solids particals will be discharged out of shaker by a shaker vibrating and fluids particals will drop into first compartment in recycling tank . 1# centrifugal pump will pick up mud from first compartment and feed desander though pipeline , by a correct pressure , the desander will separate solids around 50 – 60 microns , the solids particals will discharge though desander nozzle and drop onto shaker screen on second shaker , the fluids particals will over flow and drop to second compartment . 2# centrifugal pump will pick up mud from second compartment and feed mud into desilter cyclones , by the correct pressure , solids will be discharge from desilter nozzle and drop on to screens on second shaker , the fluids particals will be over flow and drop to third compartment . Both solids drop onto second shaker , final solids will discharge out by shaker bivrating and fluids recycled into second compartment . 3# centrifugal sit on tank skid for mixing mud in third compartment when need new mud or need add new chemicals .